This online curriculum will help you positively shape campus culture in just 15 minutes per week. The weekly lessons are designed to be facilitated in a short time (such as an advisory period, homeroom time, and/or a school club). Each themed month features a student-led challenge, which will help them practice civility and citizenship on campus and in the community. 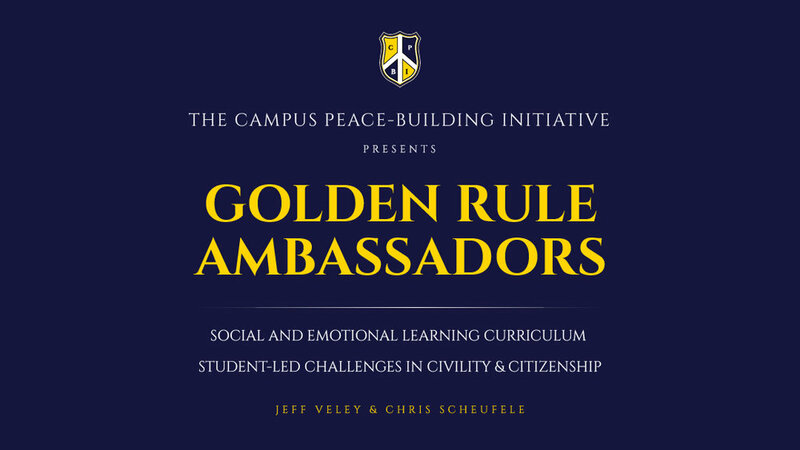 Golden Rule Ambassadors is written by award-winning social skills educator Jeff Veley and Teacher of the Year, Chris Scheufele. The curriculum was developed with feedback from students and educators. It is modeled after strict curriculum standards/best practices, and was piloted in Texas public schools. *Includes a single-school license. For a multi-school or district license, contact us.